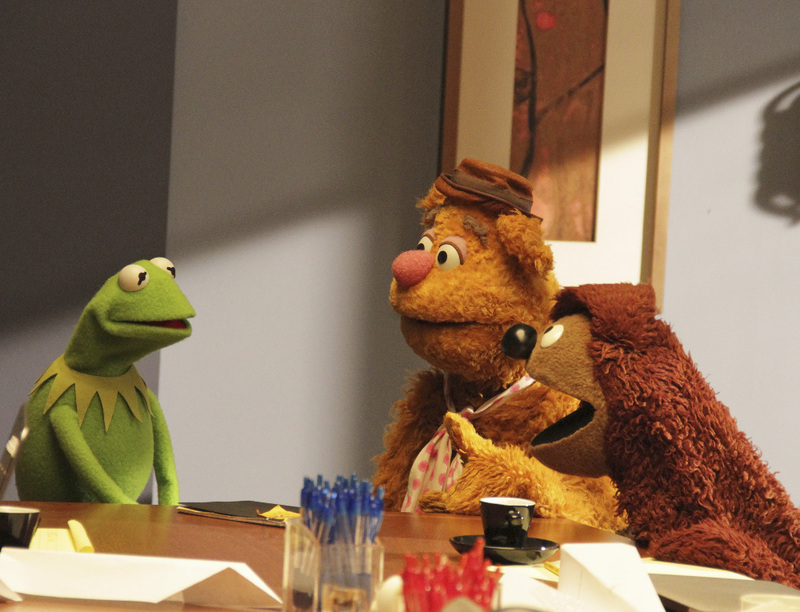 The Muppets Are Coming Back to TV! Growing up, I was a big fan of The Muppet Show. Looking back, I had no idea how innovative they were. I just loved the songs, the skits, and the stories. Who doesn’t remember “Pigs In Space?” When I watch old episodes now it’s amazing how they blended complete family entertainment into one show. Something that appealed on different levels to both kids and the adults who watched with them. And although I loved the 2011 revival in theaters, the Muppets have always seemed to fit best on the small screen. And now they are coming home again. After 17 years without a regular Muppet series, the Muppets are back! From the previews, the commercials, and the 10-minute pitch that literally convinced ABC to put them back on TV, this show looks to be hilarious! I love the “mockumentary” format of the show and Gonzo’s ironic comments about it in the pitch made me laugh out loud. The Muppets follows the personal lives of America’s beloved gang of frogs, pigs, dogs, bears, and…whatever Gonzo is as they produce a late night television show called Up Late With Miss Piggy. The show is stuffed with guest stars. The first show alone has Elizabeth Banks, Tom Bergeron, Tracy Anderson, and Grammy award-winning Imagine Dragons. And then they follow it up with Jay Leno, Lea Thompson, Laurence Fishburne, and Josh Groban in the second episode. Is there anybody left for the third episode? Probably the biggest twist in all of this is the break up of Kermit and Miss Piggy. I was shocked to find out that it was Kermit that broke things off in the relationship and apparently by the look of the commercials Piggy has not been lacking in the romance department. And Kermit is dating another pig on the staff. What happened between these two seemingly destined-to-be-with-each-other animals is anyone’s guess right now. Guess we’ll just have to stay tuned in to find out more. The Muppets series premiere airs on ABC on Sept 22nd. It’d be cool to see Lea Thompson on screen again! I was always a big Lea Thompson fan myself!